Things are more settled 'inmylife'. I'm sure you'll see/feel the difference. Here are a couple of photos Andy... It gives the man on his own as Ned Cummins. The family are Mr and Mrs Worth and family. I knew Billy he played guitar in a group called the LBJs. Right and good they were too. I think I might know Davy. Was he ever a barman at one time. Maybe I'm on the wrong track. Maybe I'm gettin him mixed up with the Ewarts. Perhaps its some of the exiles he would like to get in touch with. Yes, Davy was a barman, in Sandy Row.His wife is Emma. Are you still in Belfast? Aye, I'll pm you. Did Davy live in Combermere St at one time. If he did that clinches it. Hows he doing anyway. Will see Davy tomorrow and ask him about Combermere St and get him to have a look at the photo. Can"t say I recognize anyone, but he might. Well ther'e all a wee bit older now bookworm I'm sure they have all changed a hellavua lot. I don't think they are all from the Row. My Dad was from Sandy Row. He grew up in Kenmare St then his parents moved to Rydalmere St. His name was Tommy Todd and he had a brother Ted. Dad did his apprenticeship at Sharman D. Neill as a watchmaker. After the war he worked at the Goblin factory. 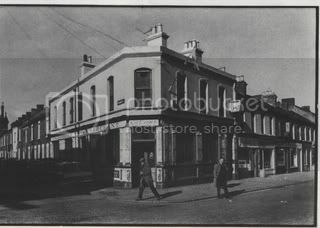 stumbled on this thread by accident, me gran and grandad live at the bottom of the donegal road, just up from hixies bakery, dad worked for belfast corperation as a bus mech at the top of utiity st. anyone remember billy noble's fruit an veg shop on donegal road, just before dummies hill? oops, sorry bout that one, the b c was at the top of gafigan st.
Davy has had a look at the photo and thinks he can recognize a Derek Anderson and a Roy Watson, he also thinks the lad in the striped jumper had ginger hair but can"t remember his name. You were right, it is one of the exiles he wants to get in touch with, so will do that now for him. By the way he said he never lived in Combermere St. He was reared in Brittanic St. 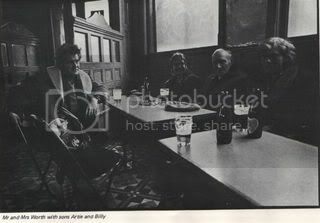 The pubs he worked in around Sandy Row were the Bluebell, The Achalee? and the Rangers Club. Maybe gettin mixed-up about Combermere St.
Can't say I know Tommy Todd Allan. But I knew Kenmare St.
Its the hill that goes from outside the City Hospital entrance until Ulsterville Ave. I think the hill you would be talking about is the Library Hill which was at Utility St on the Donegalll Rd. There was always a wee bit of a mix-up with those two. Page created in 0.252 seconds with 18 queries.